Is Maruti Suzuki India Launching Cervo 660 CC Car In India? Will Maruti Launch Cervo Small Car In India? 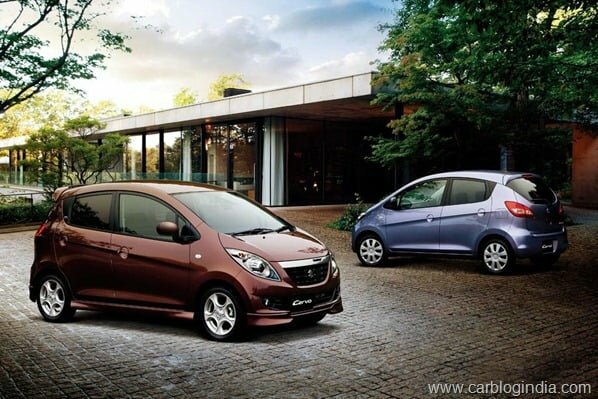 Maruti Suzuki has stopped the production of Maruti 800 in India and has stated clearly at the launch of Maruti Ertiga MPV that it will launch a small car replacing Maruti 800 by the end of 2012. The small car which replaces Maruti 800 is under testing at Maruti Suzuki India facilities and will debut in India in 2012 if all goes as planned. In the middle of the developments, rumors about the Japanese Kei car Suzuki Cervo Launch in India are high again. Back in the year 2010, one of the Maruti Suzuki officials commented that they are considering the possibility to bring Suzuki Cervo to India which will compete with the small cars in India under Maruti Alto. Since then, we haven’t heard anything from official sources about the Maruti Cervo. On being asked about the Cervo, Maruti Suzuki officials have never confirmed the launch plans for it in India so far. As per the fresh media reports by some TV channels and websites, the Cervo may make it to India as Maruti 800 replacement. As per these sources the Cervo will feature a 660 CC 3 cylinder petrol engine with a fuel efficiency of above 25 KMPL. Since Maruti Suzuki has showcased some of its Kei cars with 660 CC Engines at the Auto Expo 2012 and there has been a Kei car also spotted on India roads which indicates that Maruti maybe testing this engine on Indian roads, these rumors get all the more air! After we heard these media reports, we also confirmed with our sources close to Maruti Suzuki about the possibility of launch of Maruti Cervo in India, as per per sources, there is no plan to launch Maruti Cervo in India as of now. Although we would love to see a modern looking car like Cervo to be launched in India, but Maruti seems to have different plans and Cervo seems to be a distant dream for India. A car like Cervo will give some real competition to a compact like Eon which combines the fuel efficiency of a compact and aesthetics of a premium car with the price tag which is quite affordable. The small car which will replace Maruti 800 will rather be a different car which will be based on Maruti Alto platform which will use the same platform as Alto to save on costs. The small car which is sometimes referred to as YE3 by media, will also feature 800 CC Engine unit which is expected to be the same as we see on a Maruti Alto 800 CC Model which has an FD8 engine unit with a 3 cylinder 12 valve engine with peak power of around 46 BHP and peak torque of about 62 Nm. There is no details on the transmission and other specifications as of now, but considering the fuel economy in consideration, we expect it to have a 5 speed manual transmission system. In totality, it will be a car which will be placed below Maruti Alto, the Alto’s price is around Rs. 2.4 Lakhs ex-showroom Delhi. 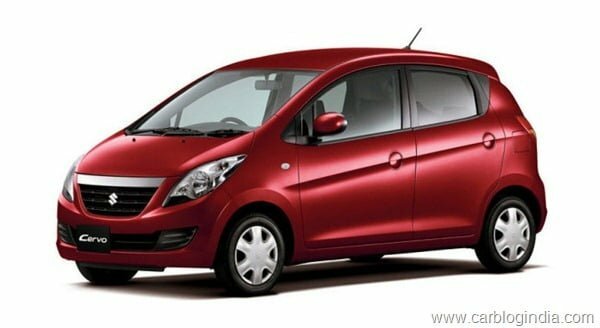 Considering the Alto’s price tag, we expect that the new small car by Maruti Suzuki will be priced somewhere between Rs. 1.8 Lakhs to Rs. 2.5 Lakhs to challenge the high end version of cheapest car in India, the Tata Nano. It will be interesting to see how this car comes out to be. We will keep a close eye on the developments and will keep you posted, for latest updates, sign up for our free email newsletter and like our official Facebook Page.